Beautiful Incentives: The Qi Pillow Review & Giveaway. #Backpain relief is here. The Qi Pillow Review & Giveaway. #Backpain relief is here. This post has been inspired by free samples. It has been a long time since I have found significant relief from my constant back pain, and now I am happy to share a recent breakthrough that has helped me! Have you heard of the Qi pillow? It's a specially designed pillow that helps support your back, legs and anything else you can rest on it. Body support disguised as a beautiful throw pillow. Patrick Lee is a Human Spinal Biomechanics Researcher and the founder of an international medicaldevices manufacturer. He and his team of thousands of doctors collaborated for a decade to finally bring you the invention of the Qi Pillow. They have helped over 2,000 licensed back pain specialists from around the world in enhancing their patients back care. Unlike traditional pillows that have very little support, the Qi pillow has a lot and you can adjust just how much. How so? Because it uses the convenience of inflation. Yup, just like you blow into an inner tube, you blow into this until you have reached the level support you want for your back. Because of it's form, it allows for adjustment to unique the shape of your back. This idea is so simple, yet so genius! It couldn't be more simple to use. 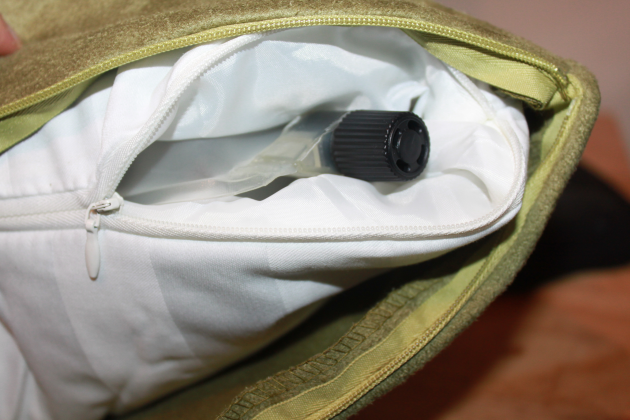 All you do is unzip the protective pillow cover to reveal a covered plastic tube with a cap to blow in. Pull up the cap and gently hold it with your thumb and forefinger. Only blow a few times the first time and take care to never over-inflate. That's it! Just put it wherever you need support and enjoy the relief. I love that fact that as convenient as these are, they are not an eye sore on my couch. A lot of products may be helpful, but are just so not fun to look at. 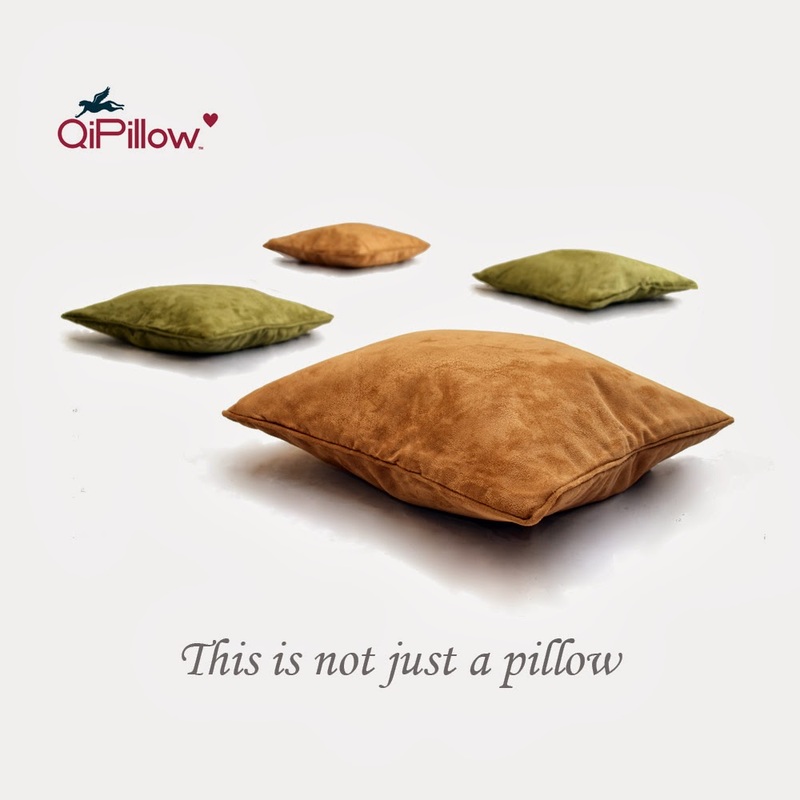 Qi pillows are made of a faux suade that is so pretty and soft to the touch. 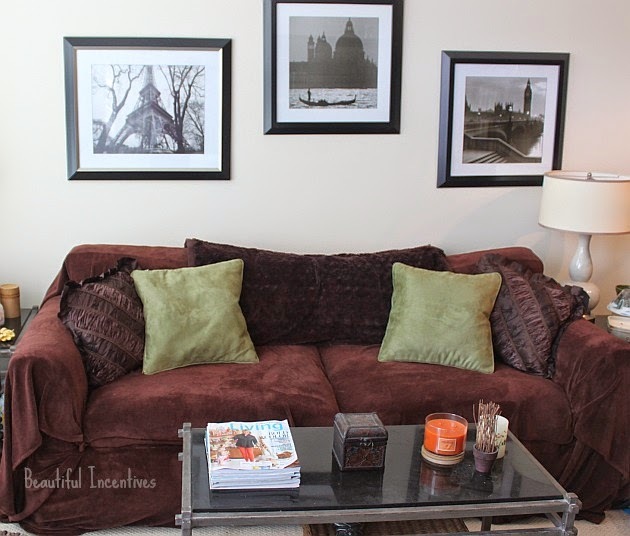 These pillows are very generously sized at 18X18, which I really appreciate for my frame. Pictured above are the ones I own in the sage color. They also offer a camel color. I like to have one pillow behind my back at my workstation or when i'm sitting on the couch. I also like to slightly deflate one pillow to put under the weight of my legs, behind my knees for added support on those really bad low back pain days. It honestly helps and is so much better than one flimsy pillow.You just can't get that kind of support for your back without stacking upwards of 4 pillows behind you. All it takes is ONE of the Qi pillows to find comfort. We all know pillows lose their fluff sooner or later. Well, imagine having one that stays puffed indefinitely! That is the Qi pillow. Supportive, comfortable, stylish and innovative. This pillow has been time tested and has been proven by a clinical study to help 91% of back pain sufferers relieve their back stiffness, pain and fatigue, and improve their sitting posture and comfort. Check out Qi pillow and experience it for yourself ! Keep up with promotions and learn more through their social media! And NOW, I'm SO excited to be able to offer one lucky winner a pair of their own Qi pillows! A $100 value! Enter the Rafflecopter below and Good Luck! US and CANADA Only. I would use it anywhere and any way I can. Currently in physical therapy for lower back pain so I know this would come in handy for me. I would use it mostly for watching TV in bed. These are the best looking medical devices I've ever seen! I do love mine. I'd use it as most for the couch when were are watching TV or in the bedroom for late night TV watching too. I would use them in the living room to relieve back pain. They also look nice on your couch. I would use it on the couch! I would use it while watching TV on the couch!! I would use the Qi pillow behind my back when watching telly and also when reading in bed. I would use it for my back when I'm in my lazy boy for support. I'd use it for supporting my back when I work in my chair by my desk. I would use it on my couch. I'd put it on my couch. I would use it while working at my computer. Would be perfect for my chair. I would use it on my desk chair. Would use for my back when on the computer. I would use it while working on my laptop! I would use this pillow while on the computer and couch to ease the stress on my back. In the boat and in the truck. The two places my back screams at me. when i sit at my computer this will give my back some relief. At work in my office. I would use it on the couch. I would use it watching tv in my couch! Thanks for the chance to win! connie d.
I would keep it on the couch so it's handy when my lower back pain acts up. These look and sound amazing. Will keep on the couch to use while watching TV! I would use it for my lower back while sitting at the computer. I would use them on the couch, would help with sitting posture also on recliner chairs and definitely behind the knees on bad back pound days. i would use it behind my back when i am watching tv. I'd use on my couch - especially while nursing!